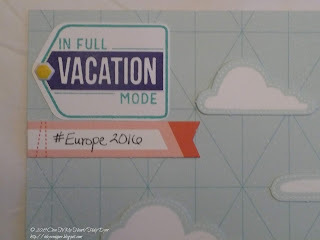 This layout is the title page for volume 2 of our epic European adventure in 2016. (Yes, I am way behind on scrapbooking, and I am okay with that. Don't judge. 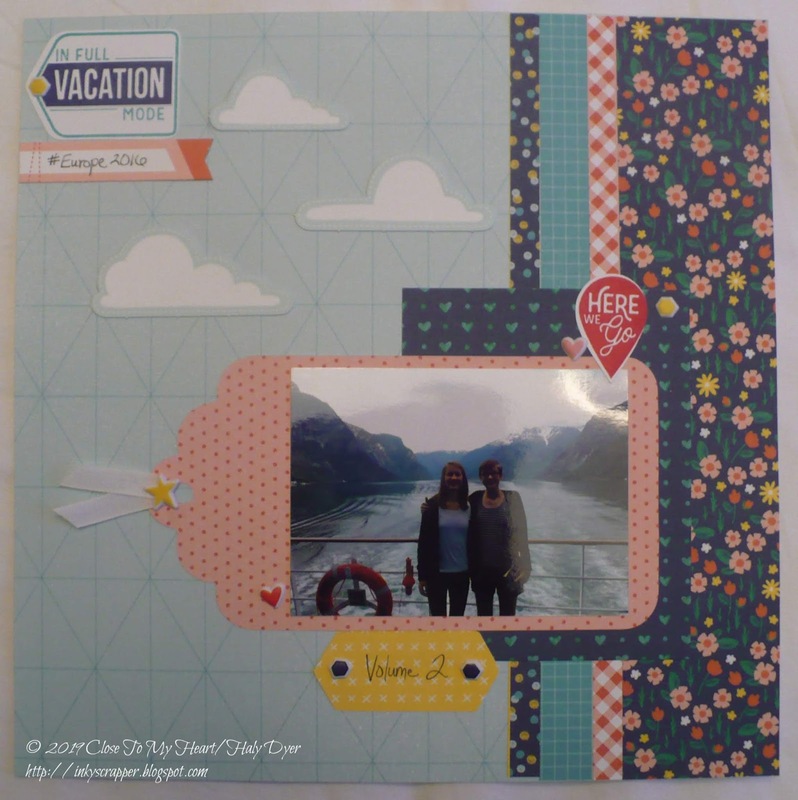 LOL) I used the So Much Happy Workshop Your Way collection and my CTMH/Cricut You Are Here cartridge. The top left tag is from the You Are Here stamps. 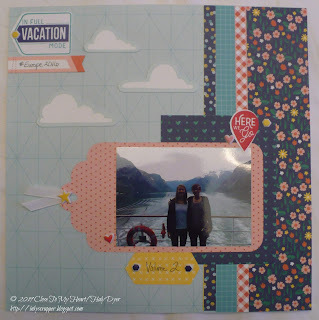 After cutting out the tag, I stamped the image on it with Lagoon. 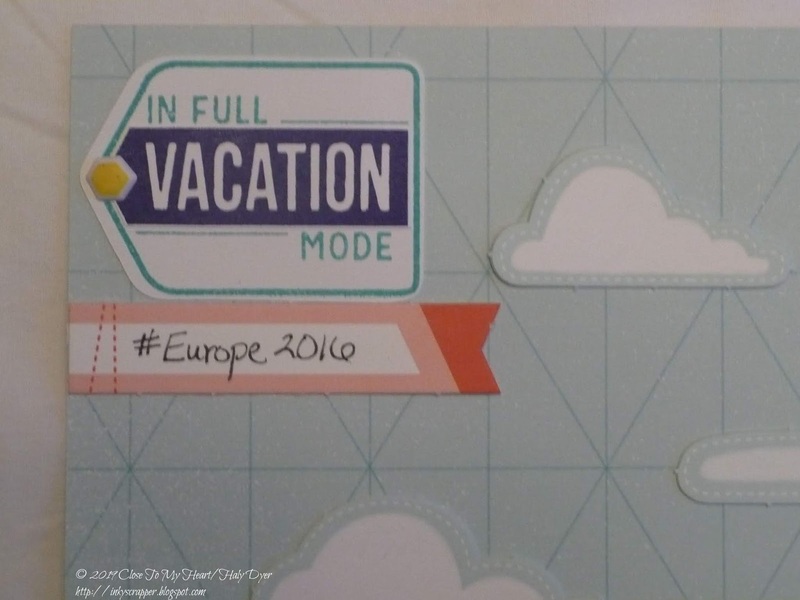 Then I stamped the image again in Sapphire on scrap and cut out the "vacation" band. The other tag is from the So Much Happy collection. My photo mat is another tag from You Are Here, as is the yellow label and the "here we go" sentiment (stamped with Candy Apple ink). Can you see all the adorable So Much Happy puffy stickers? Aren't those clouds cute too? Thank you for letting my share a little bit more of our trip and my girls, plus hopefully I've provided some tag inspiration. 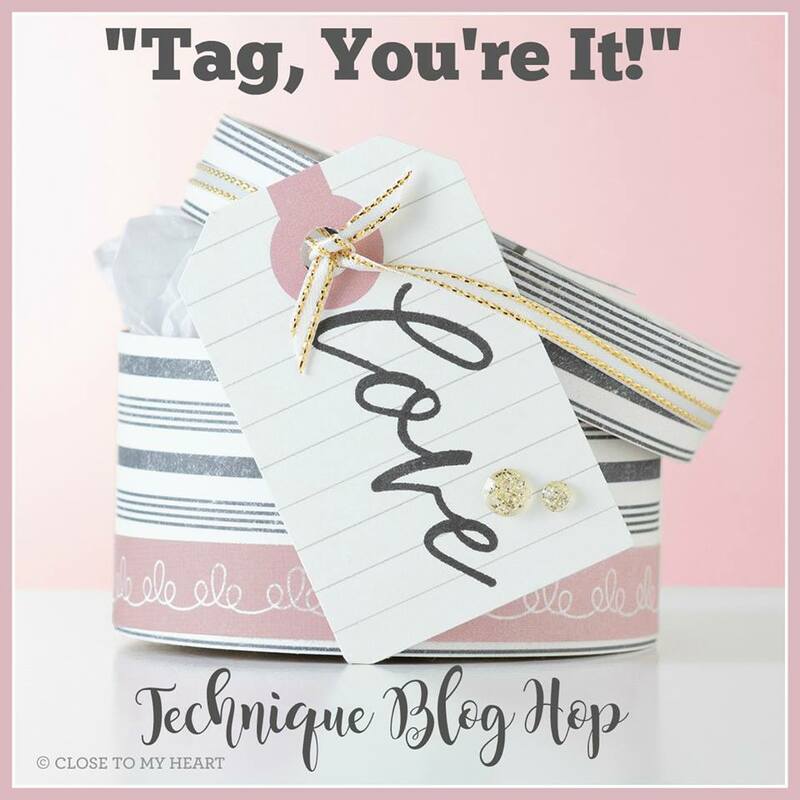 After leaving a comment, hop on over to Debi's blog next! 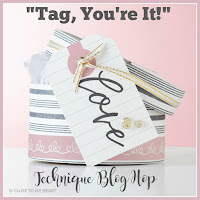 I love you using a tag as the focal point/mat of the photo! Love all the various tags used on our layout. Very creative and fun. 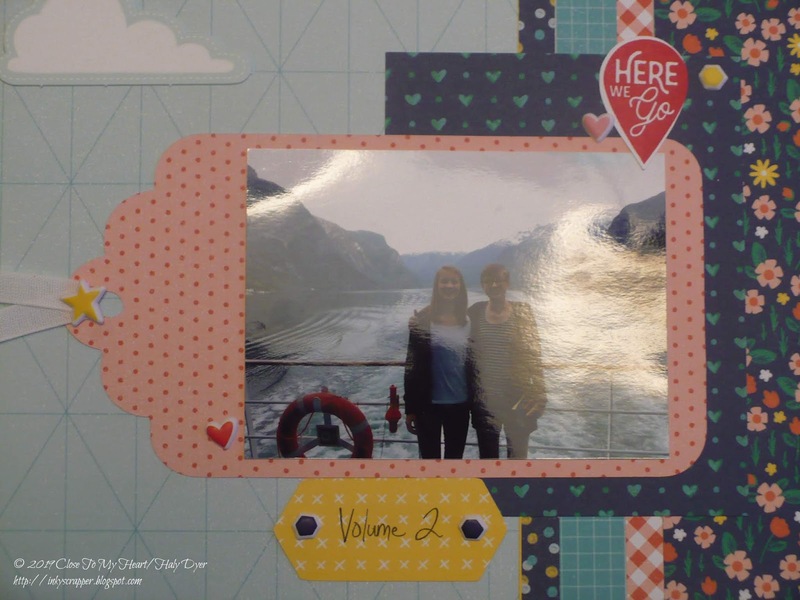 What a great way to use a tag as a photo mat! I love how you used the tag for the photo mat... so clever!